O’Brien Licensing and training consultancy is a specialist practice offering sound advice with a real focus on our clients being at the heart of our work. 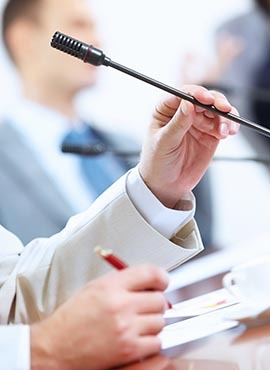 We can offer a complete range of services from the initial consultation and submission of an application right through to offering representation to clients at hearing should applications attract representations. The team at O’Brien Licensing are experienced in all applications and authorisations under the Licensing Act 2003 and this teamed with our exceptional customer focus enables us to offer a bespoke, seamless service for all of your licensing requirements. After the initial enquiry and discussion with a client, we will then arrange for the team where practicable to visit your premises with you and enter further consultation about your method of operation and offer advice covering the licensing objectives and what steps are necessary to put in place to obtain the licence for your individual requirement. Michael leads the licensing team and his wealth of knowledge and experience enables him to consult on onerous applications including cumulative impact zones, the removal of restricting conditions, dealing with obtrusive complainants and getting the decision needed for the clients mode of operation. Victoria’s extensive background of working with local licensing authority has given her an exceptional platform to offer advice and consultation with relevant agencies associated with the Licensing regime. The services offered by the team allow you to rest assured that all elements of consultation with agencies including the police, fire, local authority responsible persons and any other parties will be taken care of our by our professional, knowledgeable team and as required we will liaise directly with our clients to get the best possible outcome. Please contact the team on the contact details below for any enquiries.